So we’re doing it again this month! You guys purchased a ton of CDs with the OCT70 code last month, so we’re once again offering 70% off in November – just use the coupon code NOV70 in your cart or at checkout. CDN Records has partnered with Twisted T’s to offer on-demand printing of custom designs from our label artists. Here it is, October’s massive coupon code! Enter OCT70 in your cart or the checkout page to take 70% off CDs this month. 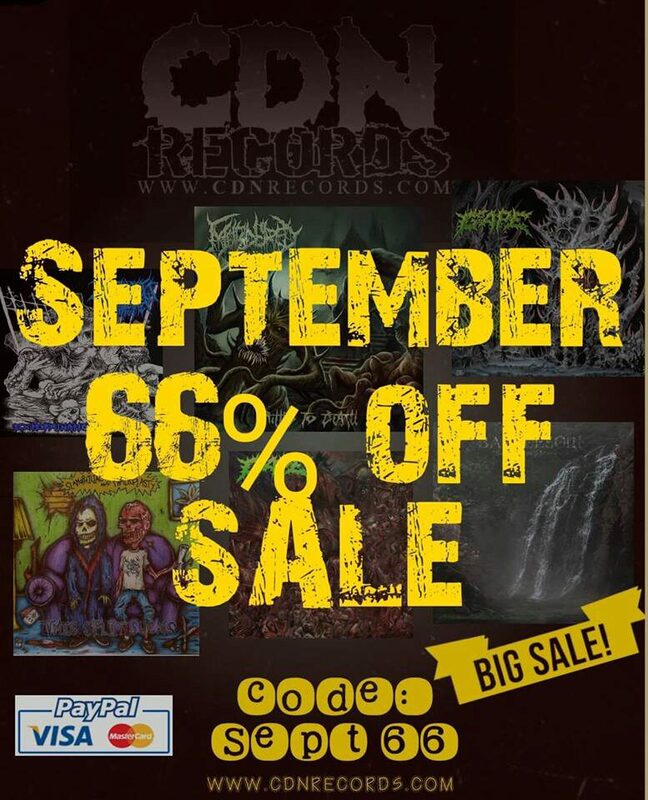 Get this month’s coupon code right here and receive a huge discount off the price of CDs. CDN Records Brutality Vol. 2 – Available Now for FREE! Download or stream our latest brutal compilation for free, featuring 28 of our label artists. Includes singles from new and upcoming releases, and a few exclusive, unreleased cuts and early mixes. Get our monthly coupon codes & see the latest items in stock!